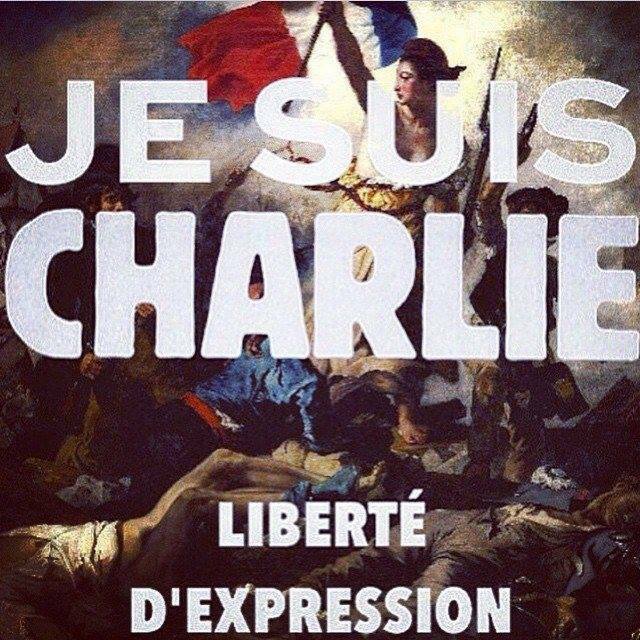 I’ve been reading peoples’ reactions to the Charlie Hebdo Affair in the media and on Facebook. There is a lot of soul searching going on about what is the appropriate response to the horrendous act and what is the proper way for people to express solidarity and outrage. For me, this is of more than a casual interest. As many of you know, my bookstore was bombed in 1989, presumably because we were carrying Salman Rushdie’s The Satanic Verses. As best as I can tell, we were the first victim of Islamic terrorism in the United States. No one was killed, because the pipe bomb that was thrown through the window didn’t go off. But had it not been defective, it would have killed everyone in the store. Much of the public pronouncements that were being made then are being made again now in the international conversation about Charlie Hebdo. How do we respond to threats against freedom of speech? How can we best express our solidarity? How should government protect the people against terrorists in general and Islamic terrorists and Jihadists, in particular? What is the responsibility of the broader Islamic community and the Islamic religion in permitting these acts to occur? How much, if at all, should we be profiling Moslems as potentially dangerous? What should mainstream Moslem leaders do about denouncing these acts? Is Islam a uniquely violent religion that is the true source of Jihadism? Of course, the comments of right wingers, conservative politicians, and Fox News pundits are pretty much what we would expect. For them, this is an opportunity to wage a holy war against Islam. It also vindicates their contempt of the cowardly French and allows them to fulminate against liberals, Obama, Al Sharpton, and the United Nations. We need not waste time commenting on this. Alan Dershowitz gave a particularly tasteless interview asserting that France was reaping what it had sown, and went on to view the entire affair from the prism of what it all means for Israel. A lot of people along the entire political spectrum are arguing that it’s the responsibility of all Islamic people to denounce this act and it is particularly the responsibility of Islamic leaders to denounce it in language sufficiently strong to satisfy…..something and someone. During the Rushdie Affair, people in the literary world made eloquent pronouncements about how they would risk their lives for freedom of speech. Most of these people didn’t have much skin in the game and were not likely to have an opportunity to risk much of anything. It was quite different for those of us at Cody’s. After the bomb squad detonated the bomb, we all met in the store and took a vote about whether we should keep carrying the book. The staff voted unanimously to continue selling it. But the media and many public voices wanted more than that. The media was looking for sound bites. Every newsperson I spoke with challenged me to put the book in the window. (I didn’t, and I didn’t put it on the front table either). Most of them wanted me to make grandiloquent public pronouncements about how we were willing to be martyrs for freedom of speech. (“Ayatollah Khomeini, read…my…lips”). I didn’t do that either. I decided that under the circumstances, discretion was the better part of valor. No interviews to the media, no manifestoes about freedom of speech in the front window. We just quietly kept selling the book. I have no problem telling you today that I had no intention of being a martyr, that I was not willing to die for The First Amendment, and I certainly wasn’t willing to put my employees in harm’s way to make a public point. People treated us like heroes for selling the book, and they still do. But honestly, if as a result of our selling it, my employees were killed. I would not be proud of our decision at all. I would have thought it was reckless, not heroic. I’ve been thinking a lot about Islamic leaders and clerics and what they should be doing. I think it’s fine if they want to denounce the act, if they want to point out that almost all of the 1.6 billion followers of Islam are not Jihadists. Even if they want to apologize. That’s their choice but not their responsibility. What I would like to see them do is to engage potential future Jihadists in a way that would get them to calm down. But doing so would require considerable discretion. For me then and I imagine for them now, the decisions just aren’t that easy. And we should be respectful of that fact.